Raised in Singapore and living in Oz, Sashi Cheliah, the oldest contestant to win Masterchef Australia, is a Madurai man at heart. The lilting accent, more sing-song than the call of the sulphur-crested cockatoos that fly from tree to tree outside the Melbourne Cricket Ground (MCG), is unmistakably Singaporean. The enunciation, however, is distinctly Madurai, a brand of Tamil that is as old as the Meenakshi Temple of that southern city. What Sashi Cheliah is saying, of course, is that it doesn’t matter where you go in Australia with him these days, the story is the same. He is sought out by the public for autographs and photographs, selfies and souvenirs. The first Indian-origin contestant to win the hugely popular reality television show Masterchef Australia, Sashi is something of a legend in these parts. Not only did he steamroll the opposition in the grand finale of the show in 2018, winning by the biggest margin in its 10-year history, at 39, he was also the oldest contestant to go all the way. What’s even more stunning is that Sashi only seriously took to cooking in 2012, although it was his barbeque skills that landed him the biggest break of his life, but more on that later. 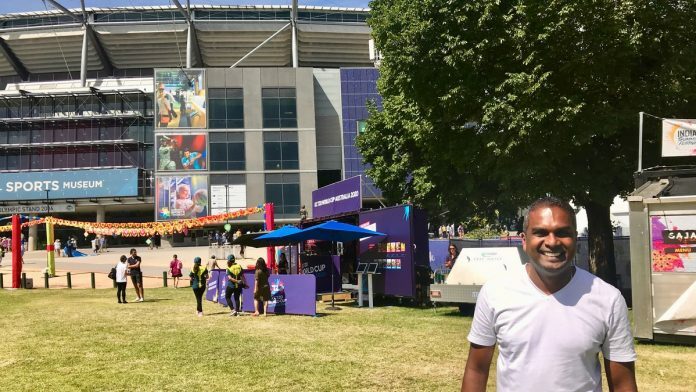 Sashi is at the MCG because India are playing, and that obviously means there must be an Indian festival of sorts organised around the venue. At different times of the day, you can hear everything from garba and bhangra beats to bhajans from a stage that belongs to the Indian diaspora in Melbourne and there are stalls serving chaat, a ‘Bangalore Bar’ where you might sip a beer, and even a signpost that points you in the direction of Mumbai’s famous Azad Maidan. In prime position is the Gaja food stall, Sashi’s baby. 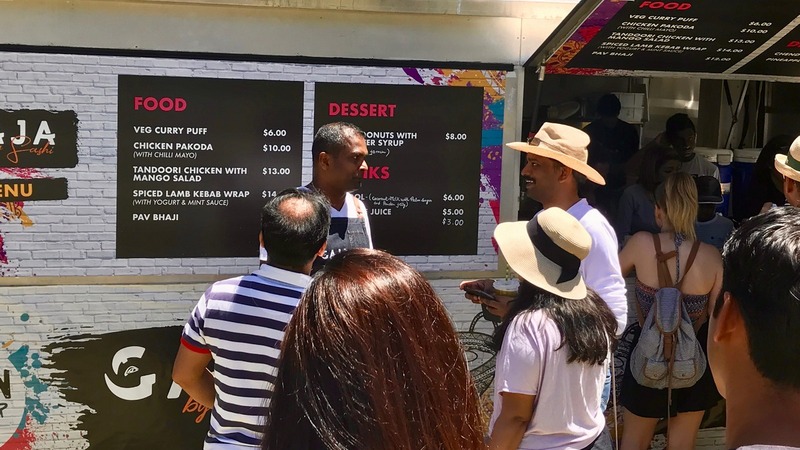 While he isn’t serving up any of his exotic creations at the cricket ground, there is an interesting dessert option: Indian doughnut in rosewater, under which it is clearly stated, “Not a gulab jamun”. But exactly how did Sashi end up here? His story begins in Singapore, where Sashi was born after his parents migrated from Madurai many moons ago. One of seven siblings, Sashi was the sporty kind. Growing up, he wanted to join the army, but his mother would not allow him to because that kind of work was just too dangerous. So he sought out the next best thing. “I’m an adrenalin junkie. Anything that gets the adrenaline pumping I’ll be there,” says Sashi. “Since young, I was into adventure. I was in adventure clubs. I always wanted to be in the army. I wanted to be in the commandos. I wrote the exams, went for selection, all that,” says Sashi. “But my family wasn’t in favour of me taking that up because of overseas missions and all that,” he adds. “I had no choice, but to stay within the country but even then I found something that was similar to the military,” says Sashi, talking about his first job in an elite division of the Singapore police force. “I can’t talk about specific missions, but I can tell you what the job was like,” he adds. “It’s considered black ops. We were hand-picked, underwent selection, training, Hell Week (a five-day module designed to break all but the best) one year of training. It’s a long process. But what good is a chef with a ladle in a terrorism situation? The fact is, Sashi was no chef back then. Sashi speaks about his mum more than once, explaining that as the thalai pullai (eldest son), there were certain obligations he had at home and certain things that were off limits. To name just two, he was never allowed to swim in the sea with his friends and his best efforts to ride a motorcycle were denied. Sashi, now a father of two, has adopted a completely different approach with his children in Adelaide. “With my kids, I did the opposite. I exposed them to swimming, sport and all that very early. I’m passionate about that,” he adds. “In Australia it is not about academics only, life skills are very important. “For me, I’m clear that academics are important, that’s the Indian background, but life skills are no less important,” he says. Sashi would have moved to Australia years before he did, had it not been for these strong family ties. “My wife studied in Australia in 1999-2000. Back then, she was my girlfriend. She wanted to move to Australia but she came back to Singapore because of me,” says Sashi. But Rabicca Cheliah, Sashi’s wife, is the determined sort and the two made the move in 2012, first obtaining permanent residency and then becoming citizens of Australia. It was cooking that brought Rabicca and Sashi together and it was she who pushed him towards Masterchef. “I met Rabicca at a barbeque where I was cooking just after school,” says Sashi. “I enjoyed cooking, but then I was not allowed to cook much. Mum, aunties, they take over the kitchen and don’t allow us in,” he adds. “All this was my wife’s idea,” says Sashi of his Masterchef journey. “She was the one who motivated me, telling me I could go much further than I was. It’s changed my life drastically. I had a career, family and all that. But after one point of time I was hungry for more,” he adds. Ensconced in Adelaide, Sashi was no longer black ops, but that wasn’t the end of his career in law enforcement. Sashi joined the Department of Correctional Services in South Australia, working at a prison in Adelaide. For Sashi, the prison life and the cooking life are intertwined. “I want to give something back to the community and I can only do that if I have something of my own. From a work point of view there is a need for more rehabilitation opportunities for prisoners,” says Sashi. “I definitely want to give a second chance to people who have been in prison. I will actively look to hire those who have realised their mistake and moved on,” he adds. Sashi genuinely wants to give back because he believes that he could not have won Masterchef without the lessons learnt from previous jobs. “My previous jobs helped me manage stress better. I didn’t have separation anxiety from being away from my family. I was able to delegate and focus. I’m more task-oriented than result-oriented,” he says. Today, Sashi has built himself a new home in the Adelaide Hills, a suburb so beautiful you want to sit out and soak in the sun, not stand over a stove in the kitchen. But Sashi has built himself a kitchen that will allow him to film shows when he has to, cook and eat with his family, and keep them together in the years to come. “They keep asking me to cook all those Masterchef dishes. Nariya kekkaranga (they ask a lot), but at home, I’d rather eat sambar,” says Sashi, proving the point that you can take a man out of Madurai — via black ops in Singapore, prisons in Adelaide and Masterchef celebrity — but you can’t take Madurai out of a man.